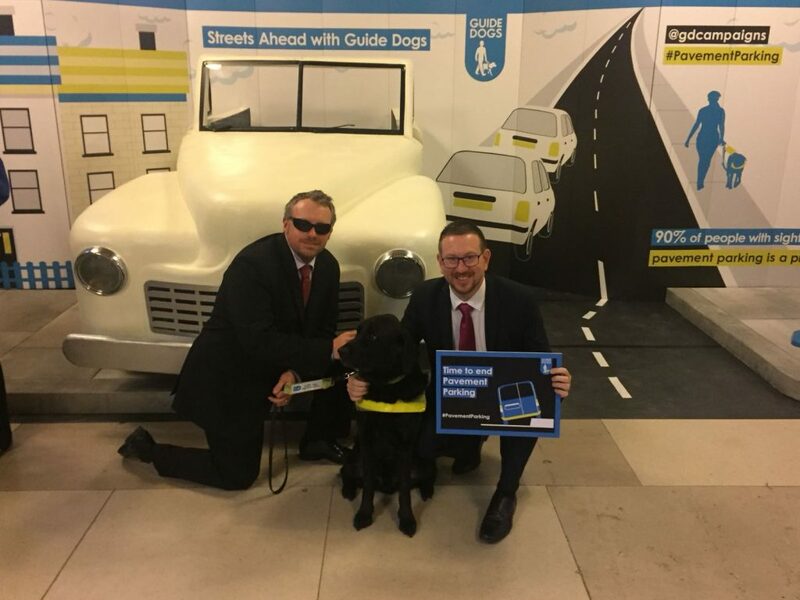 Denton and Reddish MP, Andrew Gwynne, has backed a campaign led by Guide Dogs UK which seeks to make streets and pavements safer for blind and partially sighted peoples. A survey by Guide Dogs UK last year showed that 97% of people with sight loss have problems with street clutter, such as shop advertising signs (A-Boards) and street cafe furniture. A clearer high street, where obstacles like A-boards and cafe furniture are placed consistently, leaving plenty of room for pedestrians to walk past, not only makes it a safer place for those who suffer from sight loss, but also a nicer, more inviting place for all shoppers. 1. Park your car or van on the street, not the pavement. 2. Cut back overhanging branches from your garden. 3. Ensure wheelie bins and refuse containers are not left on the pavement. Where bin collectors do not replace bins properly, please report this to your local council. 4. Report broken street lights, badly cracked paving slabs, potholes, damaged drain covers or anything else that might prove a hazard to people who are blind or partially sighted. 5. Clean up litter, especially broken glass which can injure guide dogs, and bulky items which can create a trip hazard. 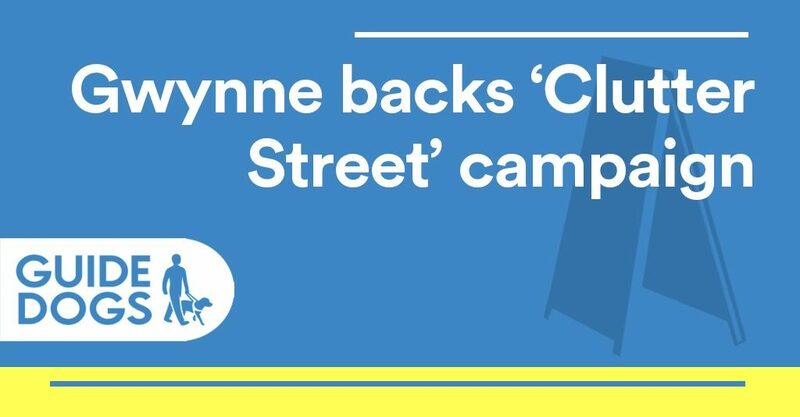 “I was deeply concerned to read the findings of Guide Dog’s report, Streets Ahead, which found that 88% of all respondents agreed that street clutter caused problems for them when they are out and about. This figure rose to 97% among blind and partially sighted respondents.